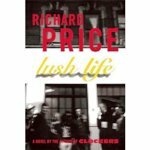 –Richard Price, born this date in 1949. Writing prompt: Describe from your protagonist’s point of view and in your protag’s voice the most life-altering image s/he has ever encountered. The gut wrenching feeling of sorrow and stress became a daily expectation requiring every muscle in his body to concentrate on the daily responsibilities of his job.